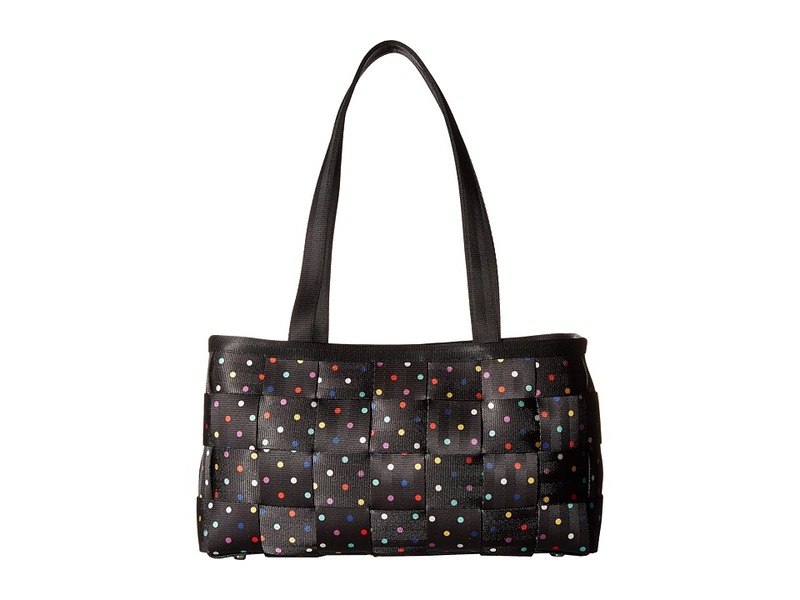 Add a touch of glamour to your wardrobe with this chic jem from Jessica McClintock. Convertible clutch made of smooth satin. Optional shoulder chain. Softly pleated detailing. Clasp closure. Features a back-wall slip pocket. Lined interior. Imported. Measurements: Bottom Width: 10 1 2 in Depth: 1 in Height: 4 in Strap Length: 39 in Strap Drop: 18 in Weight: 7 oz Please note, the hardware color and interior lining may differ from the color shown in the photo. 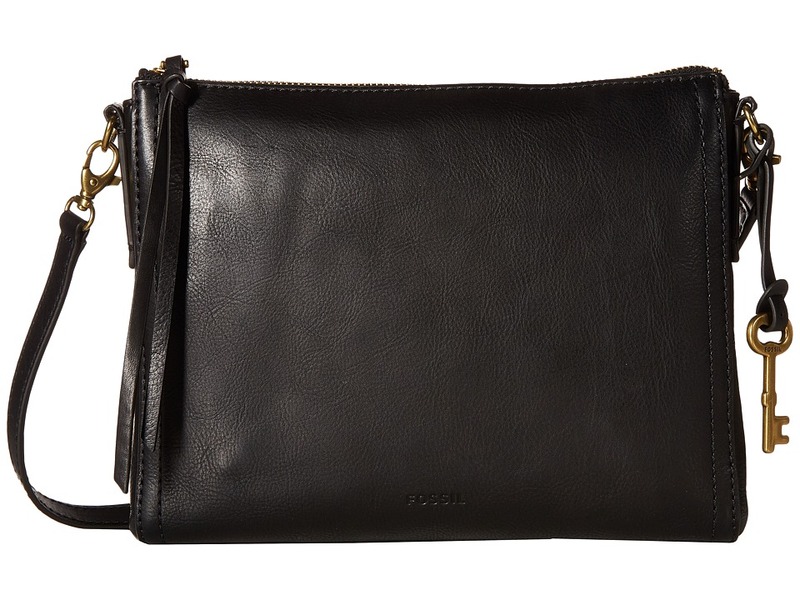 For the ultimate in versatility, try this clutch-style wallet from Hobo&amp#8482 bags. 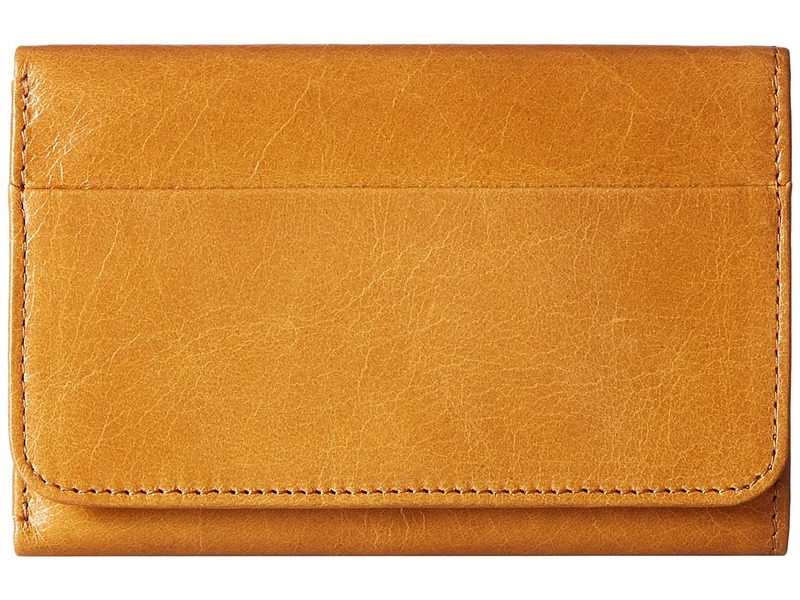 Smooth burnished leather wallet. Snap-flap closure. Exterior zipper pocket at the back. Patterned polyester lining. Interior features a bill compartment, slip pockets, seven card slots, and an ID window. Imported. Measurements: Bottom Width: 5 1 4 in Depth: 1 2 in Height: 3 1 2 in Weight: 3 oz Please note, the hardware color and interior lining may differ from the color shown in the photo. 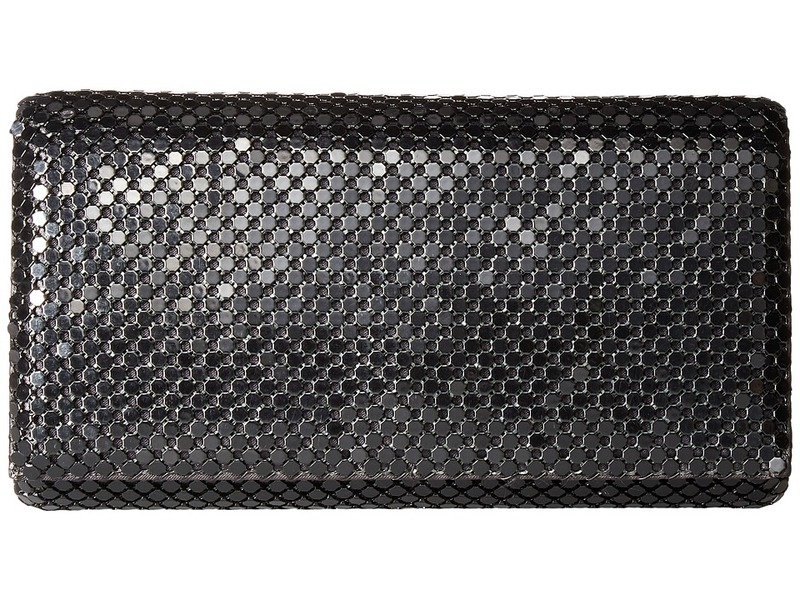 Exude exotic elegance when you pair this exceptional clutch with any ensemble. 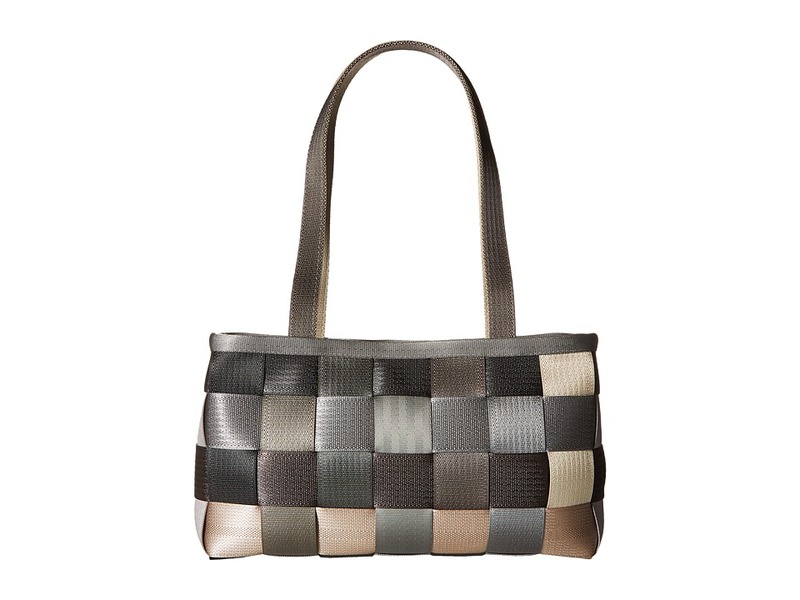 Clutch made of metal mesh with fabric lining. Magnetic snap closure. 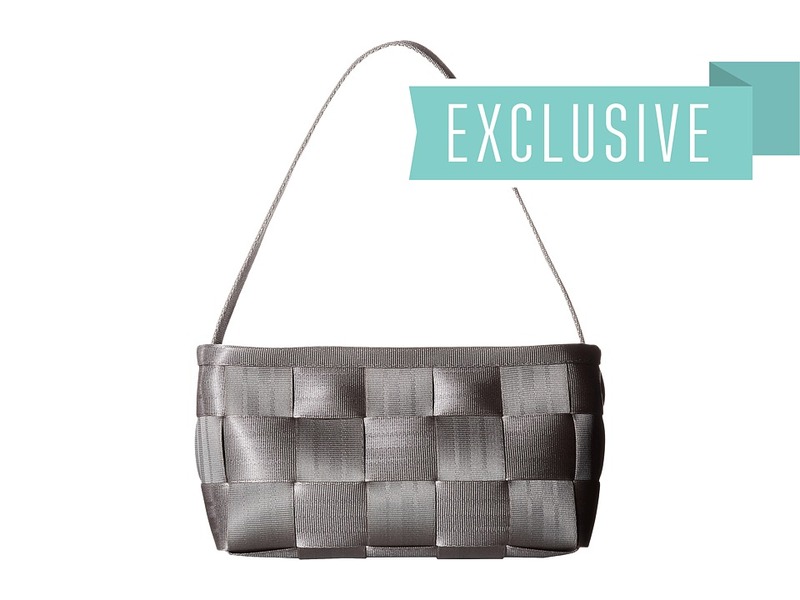 Chain-link shoulder strap. Lined interior features a zip compartment. Imported. Measurements: Bottom Width: 6 3 4 in Depth: 1 1 2 in Height: 4 1 4 in Strap Length: 44 in Strap Drop: 21 in Weight: 6 oz Please note, the hardware color and interior lining may differ from the color shown in the photo. 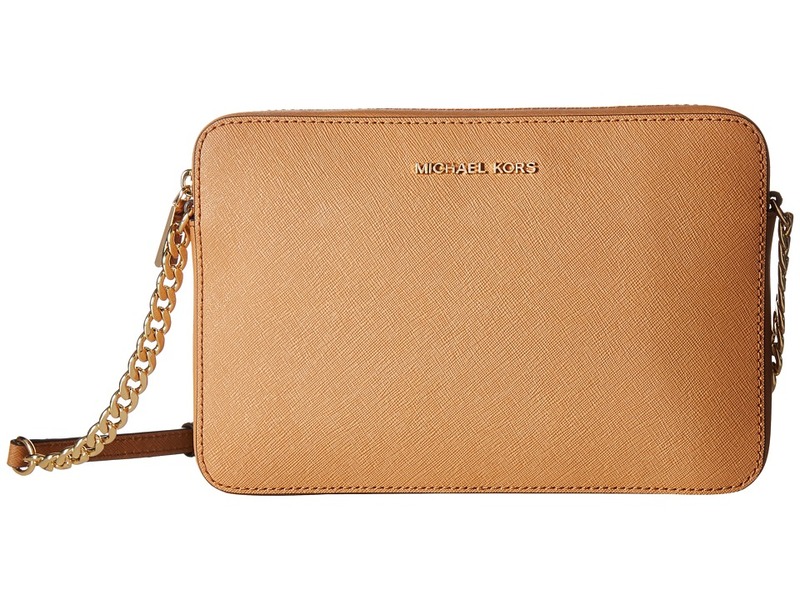 This MICHAEL Michael Kors Crossbody is made of sugar, spice, and everything fashionable. Made of Saffiano leather. Zipper closure. Adjustable crossbody strap. Signature logo hardware. Custom woven lined interior features slip pockets. Flat base. Imported. 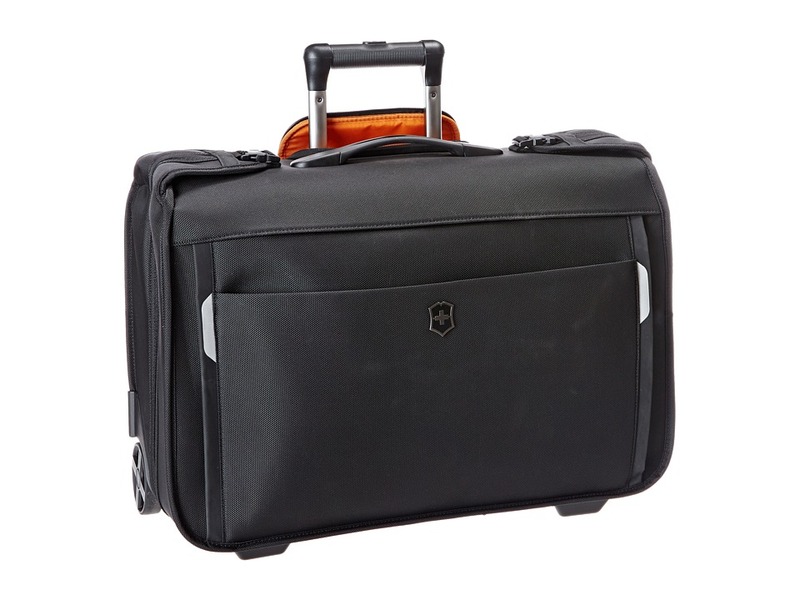 Measurements: Bottom Width: 9 1 4 in Depth: 2 in Height: 6 1 4 in Strap Length: 53 in Strap Drop: 26 in Weight: 14 oz Please note, the hardware color and interior lining may differ from the color shown in the photo. A poised bag to add a charming sophistication to your look, the Fossil Emma East/West Crossbody. Made of leather. Zipper closure. Detachable, adjustable crossbody strap. Exterior back slip pocket. Signature logo embossed detail in front. Lining made of polyester. Interior back-wall zip pocket. Interior slip pocket. Imported. Measurements: Bottom Width: 9 1 2 in Depth: 1 3 4 in Height: 8 in Strap Length: 54 in Strap Drop: 25 in Weight: 12 oz Please note, the hardware color and interior lining may differ from the color shown in the photo.